NER Art Gallery is a fine art gallery located in the heart of the Hudson Valley, in NY specializing in breathtaking Jewish Art, original oil paintings, reproductions and gicleés (fine art prints) as well as custom paintings and portraits. NER Art Gallery is a fine art gallery located in the heart of the Hudson Valley, in NY specializing in breathtaking Jewish Art, original oil paintings, reproductions and gicleés (fine art prints) as well as custom paintings and portraits.The gallery features Judaica works from the world’s most prominent Jewish Artists such as Elena Flerova, Michael Rozenvain, Dennis Bacchus, Boris Dubrov, Alex Levin, Nathan Brutsky, Shaul Kosman, and many more. 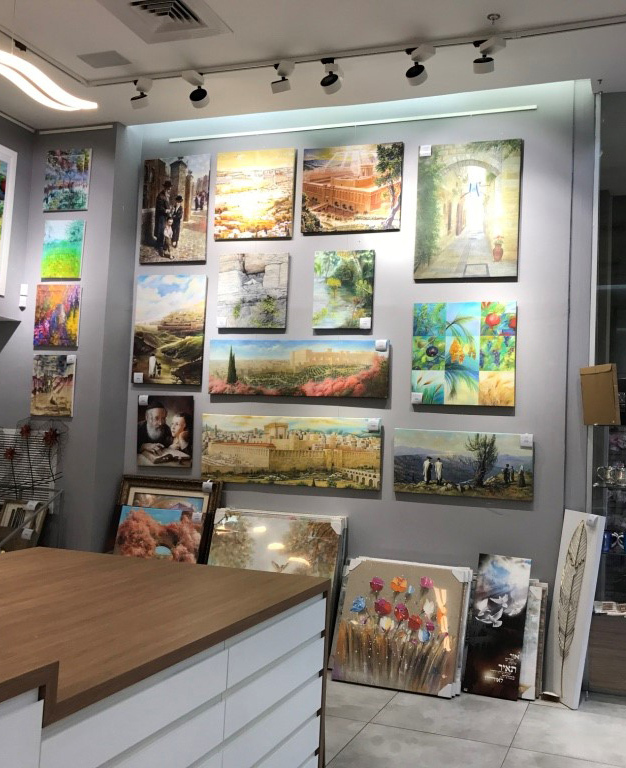 Our Original paintings: Our gallery is famous for showcasing a spectacular array of talented artists from around the world and for providing quality and original art to a discerning collector base. A Certificate of Authenticity is available for each of our paintings. Our prints: Our prints are genuine gicleés guaranteed to last longer than the original paintings and photographs. Most of them are released as Limited Editions, signed and numbered by the artists themselves. Some artists embellish their prints with paints, beads, gold leaf, and other mediums creating unique, one of a kind versions of their prints. This adds enormous value to them and to collectors; they are as precious as original art. Using archival inks and the finest premium canvas or paper, our gicleé; prints are the highest quality art reproductions available. Our gicleé prints look equally, and in some cases, even more exquisite than the originals. Please contact us to purchase any of our paintings or for more information.